2012-03-25 ~ National Association of Postal Employees, Tirunelveli Division. The minister of States for Communications and Information Technology Shri Sachin Pilot, informed Rajya Sabha today that, a proposal for opening of Post Offices has been received from Chhattisgarh Government during the financial year for opening of 1927 new rural branch branches of Post Offices at 1927 Gram Panchayath Headquarters. Department of Posts has included it in its 12th Plan Proposal and has presented to the Planning Commission. POSTMEN /MAILGURAD &MTS EXAM POSTPONED. CLICK HERE TO SEE THE INSTRUCTION.. 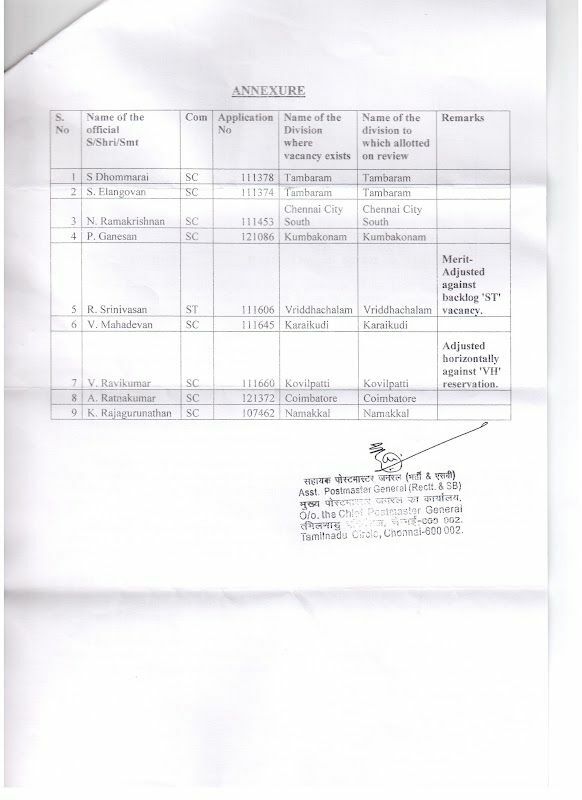 Bag Numbering System introduced by the Deparment in the year 2007 discontinued by the department with immediate effect vide letter no. 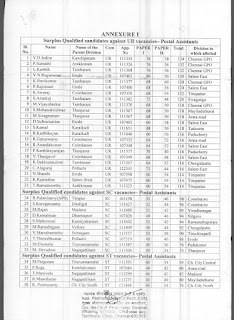 18-7/APS-D Dated 22.03.2012﻿. 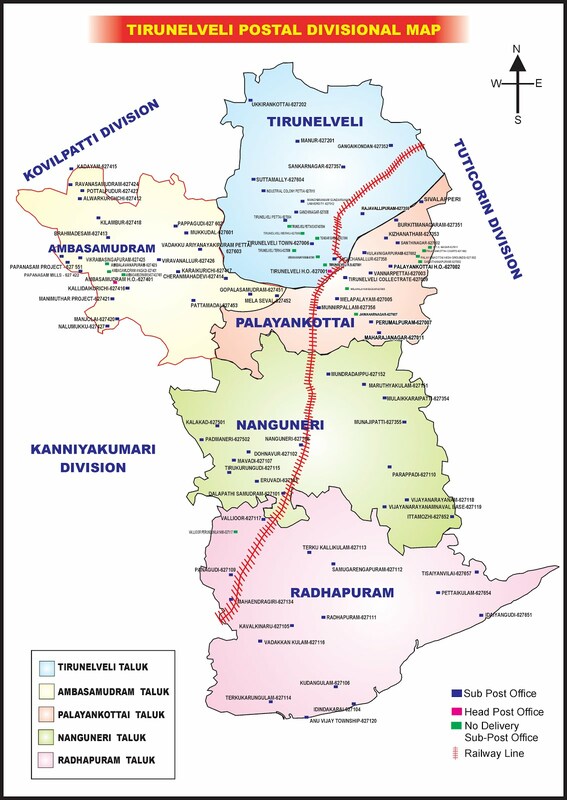 கண்ணுக்கே தெரியாத காற்றை விவரிக்க தமிழில் இத்தனை சொற்களா ? 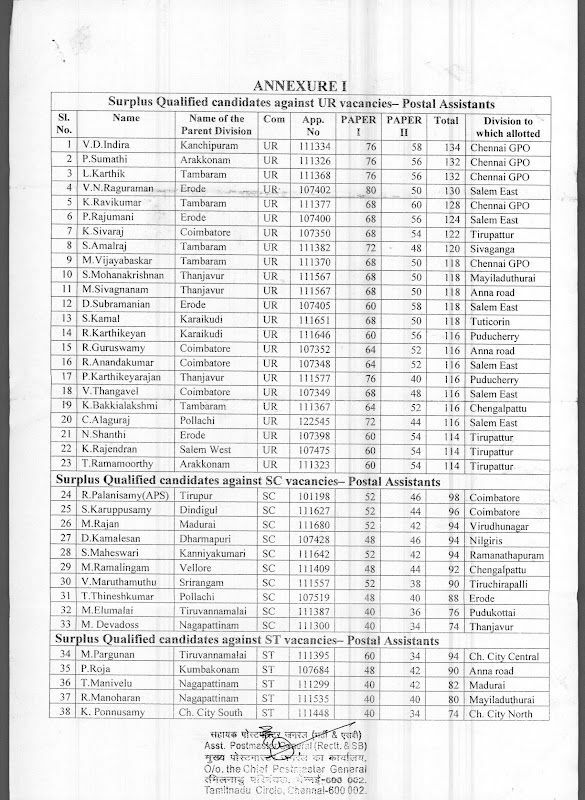 உலகில் எந்த மொழிக்கும் இல்லாத சிறப்பு ! (௧) 6 கி.மீ வேகத்தில் வீசும் காற்று "மென்காற்று"
(௨) 6-11 கி.மீ வேகத்தில் வீசும் காற்று "இளந்தென்றல்"
(௩) 12-19 கி.மீ வேகத்தில் வீசும் காற்று "தென்றல்"
(௪) 20-29 கி.மீ வேகத்தில் வீசும் காற்று "புழுதிக்காற்று"
(௫) 30-39 கி.மீ வேகத்தில் வீசும் காற்று "ஆடிக்காற்று"
(௬) 100கி.மீ வேகத்தில் வீசும் காற்று "கடுங்காற்று"
(௭) 101 -120 கி.மீ வேகத்தில் வீசும் காற்று "புயற்காற்று" (௮) 120 கி.மீ மேல் வேகமாக வீசும் காற்று "சூறாவளிக் காற்று"
Circle Welfare Board has decided to increase the voluntary contribution wef 1.04.2012 as follows. The undersigned is directed to refer to Ministry of Finance's O.M. 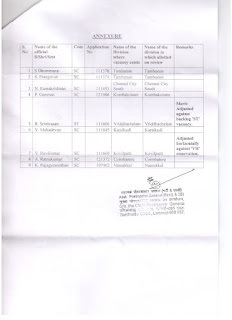 of even number dated 11th November, 2011, vide which the various decisions taken by the Government on the recommendations of the Shyamala Gopinath Committee for Comprehensive Review of National Small Savings Fund (NSSF), were communicated to all concerned. ஆகியோர்களுக்கு திருநெல்வேலி கோட்டத்தின் வாழ்த்துக்களை தெரிவித்து கொள்கின்றோம். NEW DELHI, MAR 23: Come April 1 and cheques and bank drafts will be valid only for 3 months, a development that RBI thinks will help mitigate frauds related to such instruments. The Reserve Bank of India (RBI) has directed that with effect from April 1, 2012, banks should not make payments against cheques, drafts, pay orders or banker’s cheques if they are presented after the period of three months from date of issue. It has been brought to its notice by the government that some persons were taking undue advantage of the six month validity of cheques, drafts, pay orders, banker’s cheques by circulating them like cash for this period, RBI had said in a notification earlier. 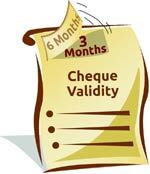 According to a senior banker, the three-month validity period is a good enough time period for instrument conciliation. “RBI is satisfied that in public interest and in the interest of the banking policy, it is necessary to reduce the period within which cheques/drafts/pay orders/banker’s cheques are presented for payment from six months to three months from the date of such instrument,” it had said. The government is likely to hike the interest rates on deposit schemes offered by post offices, like savings account, Monthly Income Scheme (MIS), Public Provident Fund (PPF), etc by about 0.25 per cent from April 1. A circular on revised interest rate on small savings scheme will be issued by March 28, official sources said, adding that there could be a 0.25 basis points hike in the rates. "We are in the process of calculating the rates. The new rates will be applicable from April 1," they added. The government had in December, 2011 hiked interest rates on post office savings accounts (POSA) to 4 per cent, from 3.5 per cent. Similarly, the interest rates on the MIS and PPF was fixed at 8.2 per cent and 8.6 per cent respectively. The decision to hike interest rates in December was in line with the recommendations of the Shyamala Gopinath Committee which had suggested linking of interest rates on small savings with that of the market. The panel had also suggested that the interest rates on small savings schemes should be revised annually. The revision in the interest rates is aimed at maintaining the attractiveness of the small savings schemes vis-a-vis fixed deposit schemes operated by banks. The government, as part of economic liberalisation process, had freed the interest rates on banks deposits giving freedom to lenders to fix rates depending upon the asset-liability position, but continued to fix rates for small savings schemes. Pursuant to the recommendations of the Gopinath Committee, the government had introduced the National Savings Scheme (NSC) with a 10-year maturity to attract long-term funds. The annual investment ceiling in PPF savings was increased to Rs 1 lakh from Rs 70,000.